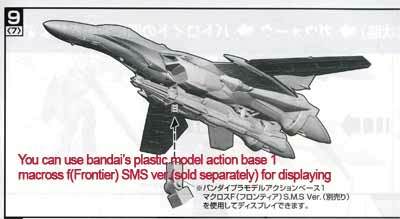 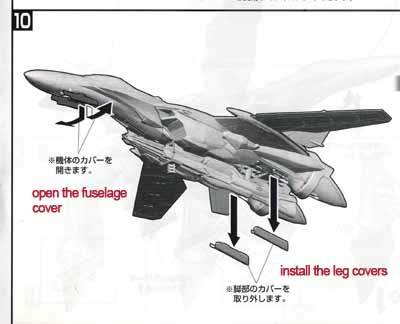 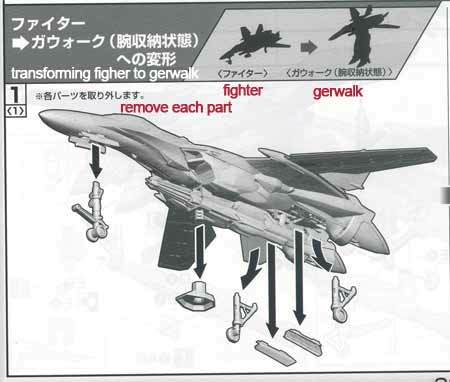 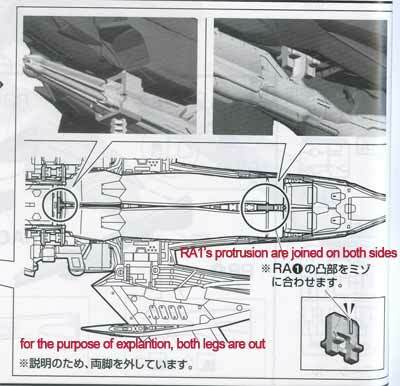 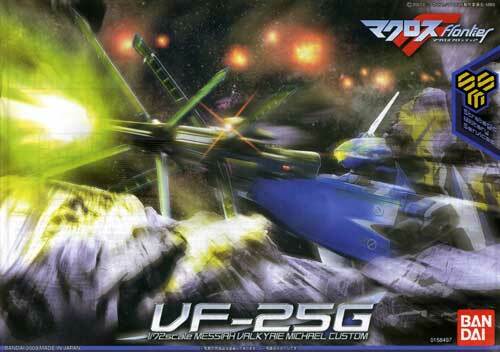 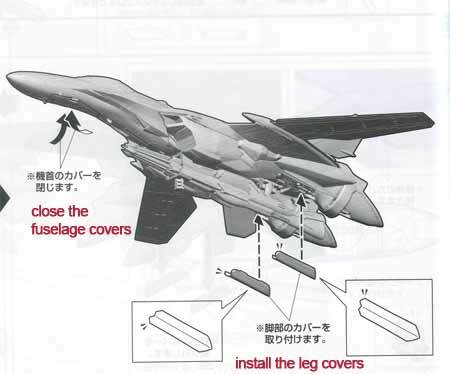 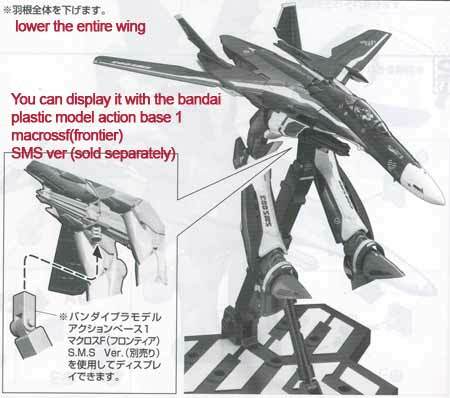 Picking up again where we left off from here from the VF-25G Messiah Japanese to English Manual Translation Project. 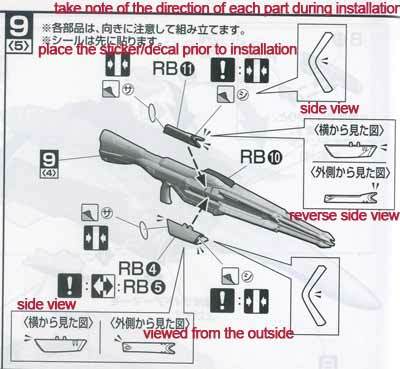 Will point out also that to please use at your own risk and that only those pages which have Japanese characters in them were translated and posted here. 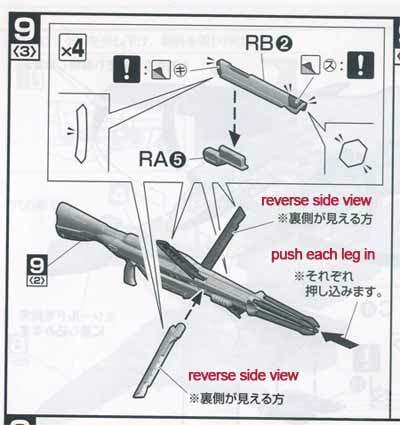 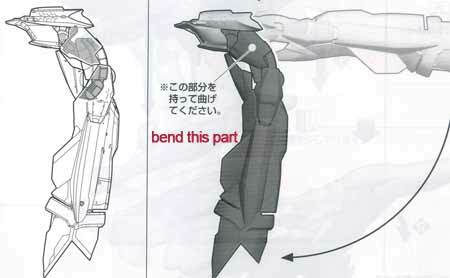 Those panels which were just diagrams weren’t uploaded so its best to have your own manual in front of you while building so you can be sure that you don’t leave anything out. 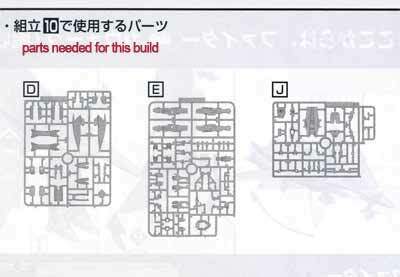 Next set of pages found here. 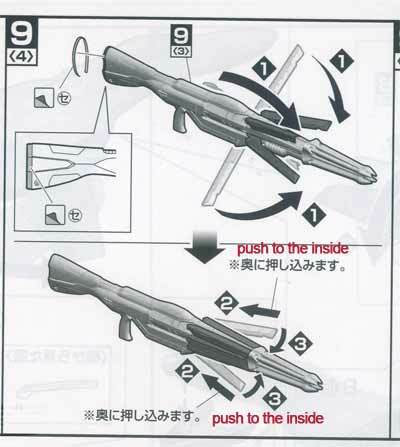 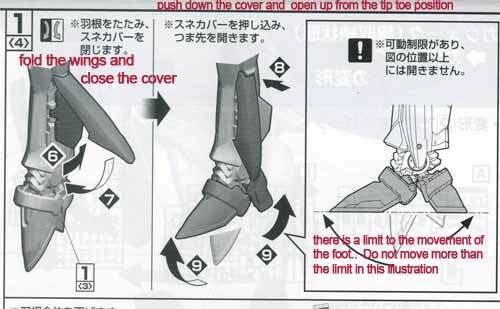 Oops, my mistake, this actually means pull out the leg covers and not "install the leg covers"
Next and final part of this translation project can be found here.